In a medium bowl, mix the chicken broth, preserves, onion, and mustard together and set aside. Wash and pat dry the pork. Place the pork in a ziploc freezer bag and pour the marinade on top. Squeeze as much air out of the bag as possible, label and place it in the freezer. When ready to cook, place it in the refrigerator to thaw, then put it in the crock pot on low for 8-9 hours or on high for 4-5 hours. Always follow your crock pot’s recommended cooking directions. 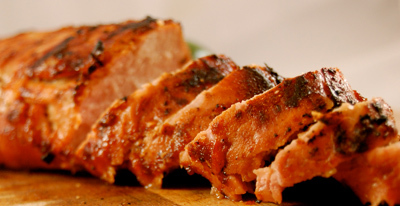 This entry was posted in Entrees, Modified Profast (Fast and Flexible) Recipes, Pork, Slow Cooker and tagged crock pot, easy, metabolic medical center, Metabolic Medical Center Recipes, pork tenderloin, sugar-free jelly preserves by foodies4mmc. Bookmark the permalink.